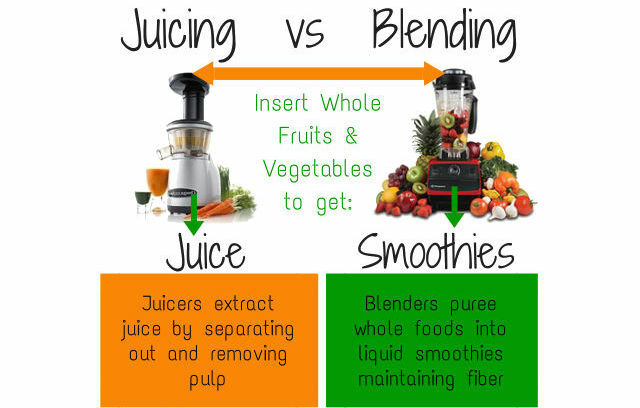 Home > Holistic Health > Juicer vs Blender – Which is the Best Option? 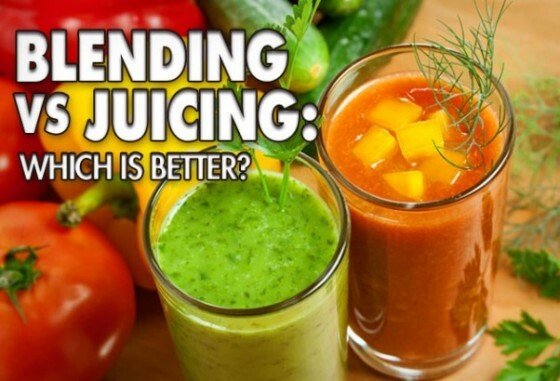 If you are new to the world of juicing, chances are you have already caught wind of what seems to be a great debate – juicer vs blender, which is the better option? While it may seem as if both produce similar results, this just isn’t true. They are very different, and depending on what your goals and needs are, one may be the better option for you. Keep reading to find out exactly what makes these two kitchen appliances different. 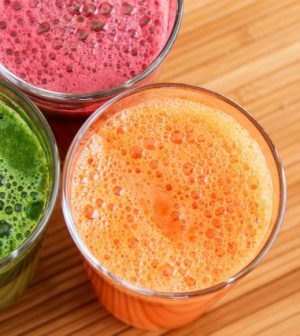 Juicers are designed to extract the juices from the fruits and vegetables that you put in them, leaving the pulpy fiber behind so that it is not mixed in with the juice. The juice that is left over contains a wealth of vitamins and minerals, but eliminates the insoluble fiber of the whole fruit or vegetable. Blenders use blades to liquefy fruits and vegetables by chopping them up very fine. The result is much thicker than that which comes from a juicer, due to the fiber being kept with the juices. Blenders are generally used for beverages referred to as smoothies, which get their name from the smooth, yet thick liquid that the blender produces. 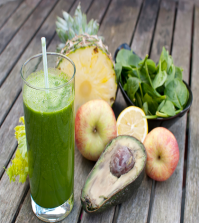 The main difference between a blender and a juicer is the fiber content of the beverage. With juicing, the only fiber left in the juice is soluble fiber, which is easier for the body to digest. Smoothies produce beverages that have a much higher insoluble fiber content, which helps to move the foods you eat through your digestive system. Some people prefer smoothies due to the thicker texture and more filling drink that helps control appetite. However, there are other considerations that you need to keep in mind if you are trying to decide between juicer vs blender. • Smoothies are somewhat less hydrating than juicing due to the higher fiber content. • Blenders can handle avocado, banana, and some leafy vegetables that cannot be juiced effectively due to their softness or low water content. • The higher fiber content of smoothies results in the body expending more energy and enzymes to move it through the digestive system. • Smoothies are generally considered quite filling, and provide longer lasting satiety, which is again due to the fiber content. Juicers produce juice, much like the orange juice you buy at the grocer. However, there are also effects of juicers that you need to be aware of as well. • Juicers remove the juice from fruits and vegetables that have relatively high water content. Specialized options, such as masticating juicers, are designed to handle leafy vegetables, which tend to have very low moisture content. • Juicing provides more hydration since it is all liquid, but you will still need to ensure you drink enough water throughout the day. • Juices do not require additional energy expenditures from the body to digest, which makes them work well as cleansing agents. 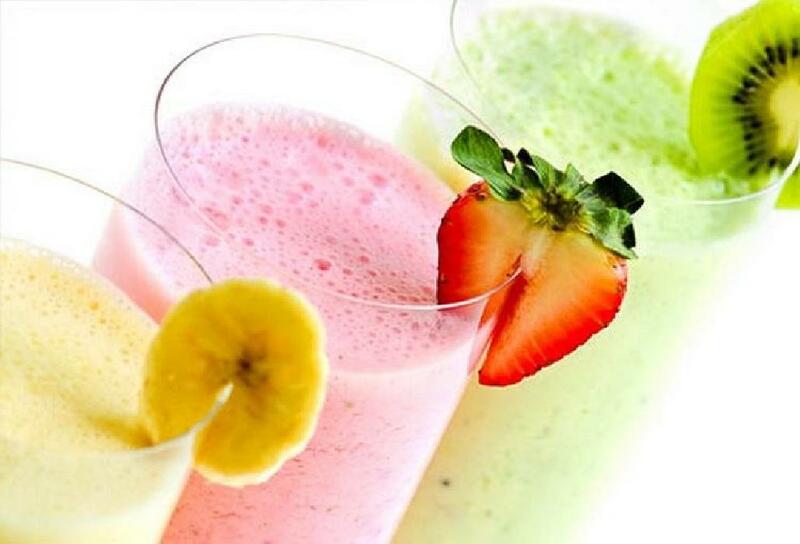 • Blenders tend to be used more for fruits, which increases the natural sugar content. However, this can be minimized by making sure to focus on green smoothies that contain more vegetables than fruit. • Juicers can juice fruits, but the result also contains highly concentrated sugar. Since juice does not require digesting, the sugar is absorbed into the bloodstream much faster. 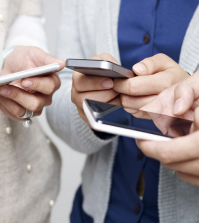 This can lead to blood sugar spikes, which can be dangerous for some people. • When you drink a smoothie, you are basically eating your fruits and vegetables. This requires the body to work harder to separate the nutrients from the fiber, which also lessens the amount of nutrients that are absorbed. • Juicing eliminates the fiber, which makes it much easier for the body to absorb the nutrients from the vegetables. 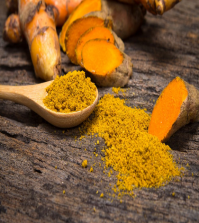 This also allows the vitamins and minerals to enter the bloodstream much faster, which minimizes the amount that is lost in the natural digestion process. • The added fiber in smoothies does provide better blood sugar control, which helps to control hunger, and keep blood sugar levels stable. 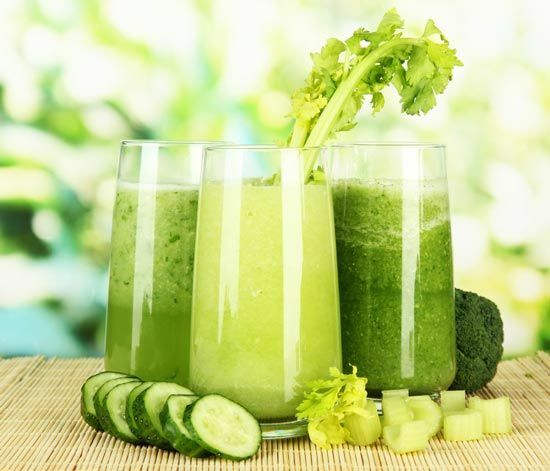 • Blended drinks are more filling, which means you will ingest less of the beneficial properties of the vegetables. • Juices are much less filling, but this also means you will ingest more of the vitamins and nutrients from the vegetables in your drink. So, Which is Better Juicer vs Blender? The answer to this question depends on your goals, health conditions, and your tastes. Some people choose juices because they need less fiber in their diet due to sensitive digestive systems or food allergies. Juices also make much more of the vitamins and nutrients readily available to the body, which ensures you get maximum benefit from the beverages you create. Those who are trying to combat hunger and food cravings for losing weight may find that smoothies provide better benefits. Smoothies can also be beneficial for those who require additional fiber due to other digestive issues. The ultimate answer to the juicer vs blender debate is that it comes down to personal taste. In all honesty, both juices and smoothies provide a wealth of health benefits that can’t be ignored, especially if you are focusing on vegetables. Many people find that incorporating both juices and smoothies into their diet provides excellent benefits. You can even use your juices to add the liquid to your smoothies, rather than using milk or even water. This will allow you to create a wide range of interesting flavor combinations, and help you make sure that you are including all of the beneficial vegetables and fruits in you and your family’s diet that they need to be healthy. You may have to experiment with both smoothies and juices when it comes to children to see which they prefer, but both options are a great way to up the amount of healthy foods for even the pickiest eaters.